DEA Deutsche Erdoel AG, the international oil and gas company wholly owned by LetterOne, has announced the appointment of Maria Moraeus Hanssen as its new CEO and Chairman of the Management Board. The appointment is expected to take effect in January 2018, when Maria Moraeus Hanssen succeed Thomas Rappuhn, who is handing over after 30 years at the company, including 12 years on the Executive Board and 8 years as CEO. 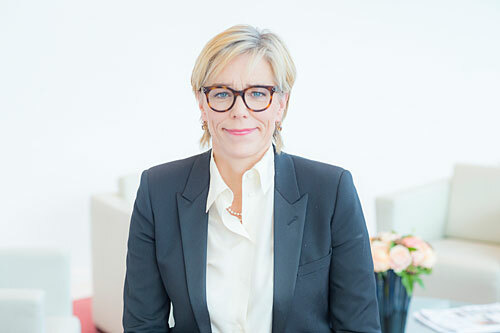 Maria Moraeus Hanssen is currently Chief Executive Officer of the French utility group ENGIE’s exploration and production business, managing production of more than 160,000 barrels of oil equivalent per day, across 12 countries with 1,700 employees. Over the past two years, Maria Moraeus Hanssen has led a strategic transformation at Engie’s E&P business, restructuring the portfolio and improving returns and profitability through the pursuit of cultural change, application of new technology, cost reductions and M&A activity. Maria Moraeus Hanssen, a Norwegian citizen, has extensive oil and gas industry experience having worked for Hydro ASA, Statoil ASA and Aker ASA. She trained as a reservoir engineer and petroleum economist, and spent the first fifteen years of her career with Hydro ASA across a broad range of roles including reservoir engineering, exploration management, field development, offshore operations and business development. Shortly after Statoil bought Hydro’s oil and gas activity, Maria Moraeus Hanssen left to join Kjell Inge Røkke’s Aker Group. After successfully building significant elements of what later became Aker BP ASA, Maria Moraeus Hanssen returned to a more operational role in 2014, heading up GDF SUEZ’s Norwegian business. In 2015, she was promoted to run GDF SUEZ’s entire international E&P business. GDF SUEZ changed its name to ENGIE in the same year.